Thanks for the kind note sandra025. My pleasure! Enjoy. 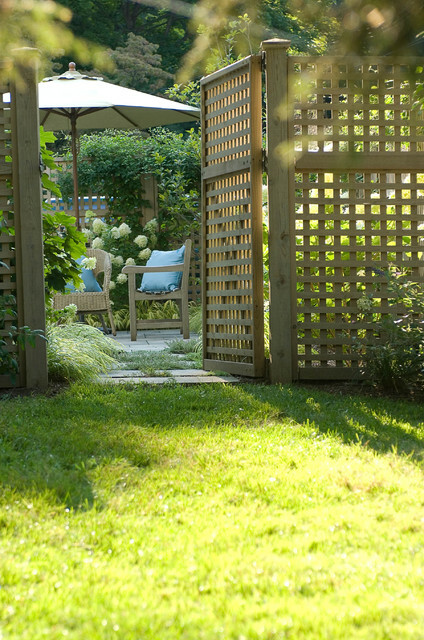 What colour was used to paint or stain the lattice fence. Is it a blue/green/gray colour? Will they bloom in shade? 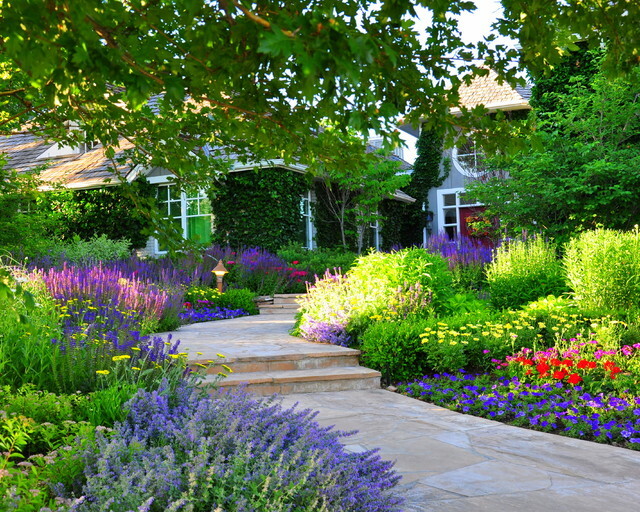 - We have several of these bushes in our yard and they are absolutely beautiful when in bloom. Great for cutting. Eventually they turn red and can be used as dried flowers. Our problem is they are so top heavy the blooms/branches all fall over and lay on the ground. How do we prevent this? Have you ever pruned your Little Limes? 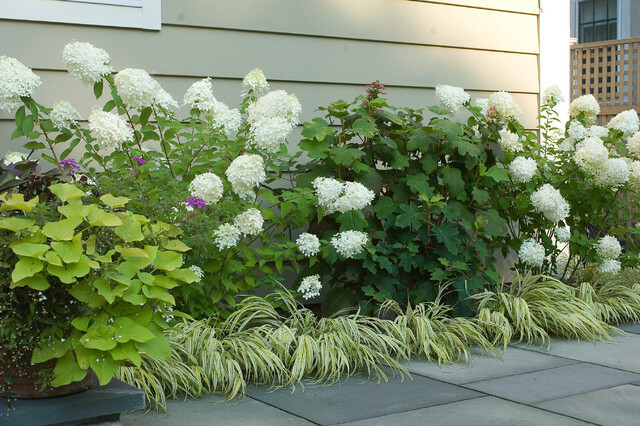 Panicle hydrangeas like Little Lime, Limelight, Quick Fire, Pinky Winky, etc. 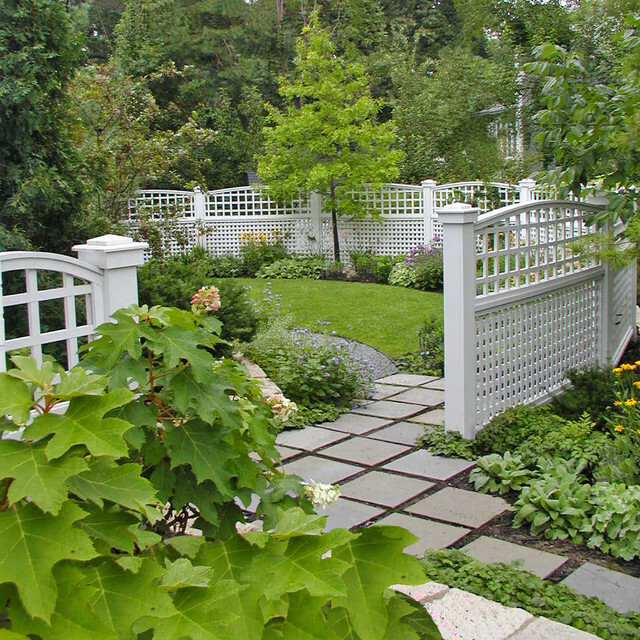 bloom on new wood, which means if you prune them in late winter/early spring, there is no risk of pruning off this summer's flower display. I work at a landscape nursery in SE Michigan and I usually advise clients to leave the dried flower heads on for winter interest, then prune the entire shrub by about a third in early spring. 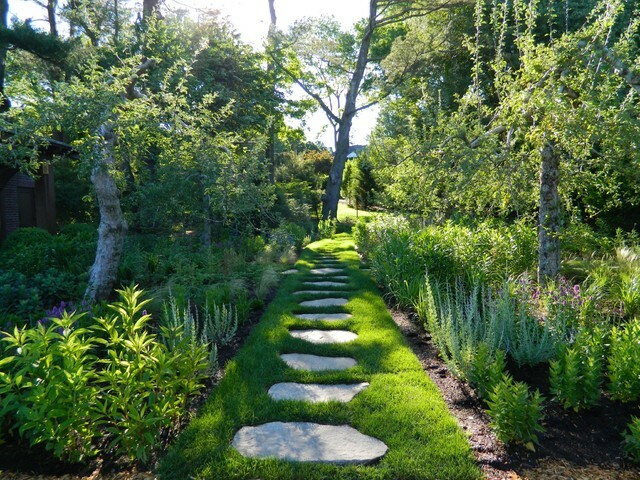 Add a little slow release, organic fertilizer, refresh the mulch if needed and that's it. At the nursery we have mature examples of several different types of panicle hydrangeas growing in the landscape. 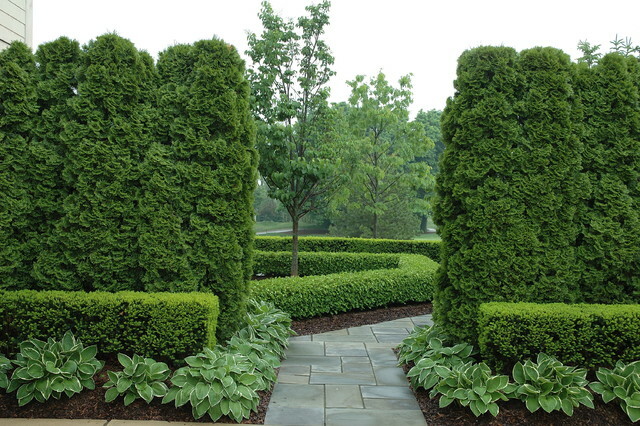 They are pruned annually, put on a spectacular show each summer, and I've never noticed any flopping. Try it this spring and good luck! is this japanese grass the yellow (aurreo;a) or white(albo) variety? Hi Nan, I recommend enhancing the soil with organic material to help with drainage. Add peat moss and organic compost. Also, limelight prefers some sun. ( at least 6 hrs). I am in zone 7 with clay soil, and I grow little limes in full sun. This holds true for most all of the panicle varieties. It is the others that do better in shadier spots. 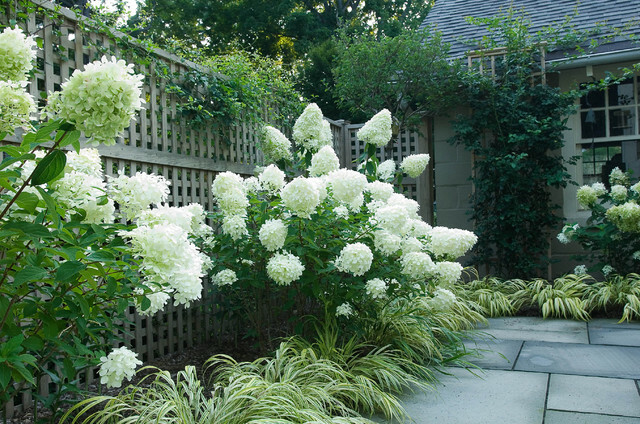 are limelight hydrangea deer resistant? you are so right - less is more - elegant - beautiful - l don't like it, I LOVE IT! Thanks so much for your comment Griffin Interiors...I love them too! More at www.WestoverLD.com Enjoy! - what kind of plant is this please? 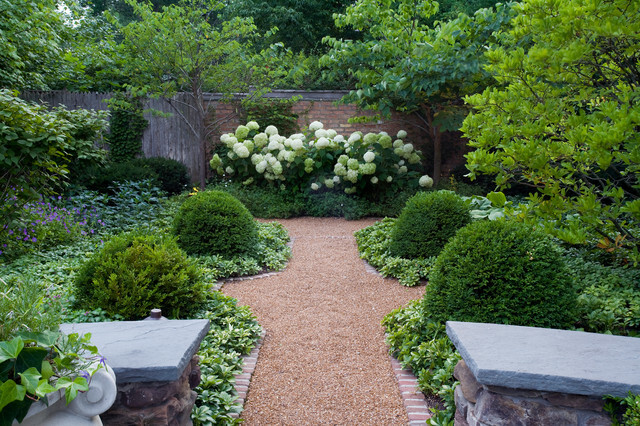 Correct, limelight hydrangeas are in this garden. - Is this a tree or bush? Thank you for your time. Hello Kena910. Thanks for question. 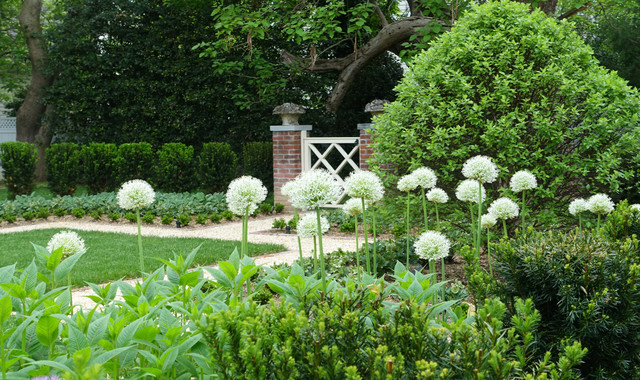 These are shrub hydrangeas called Little Lime. 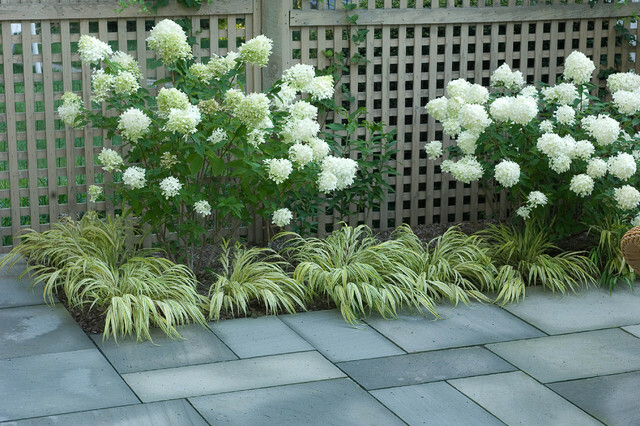 - I love the contrast of the Bluestone and the White hydrangea. Hydrangeas are my absolute favorites. Lovely here. This one is called Limelight and is one of my all time faves! I have a 36 in. bed that gets afternoon sun, will little lime fit? 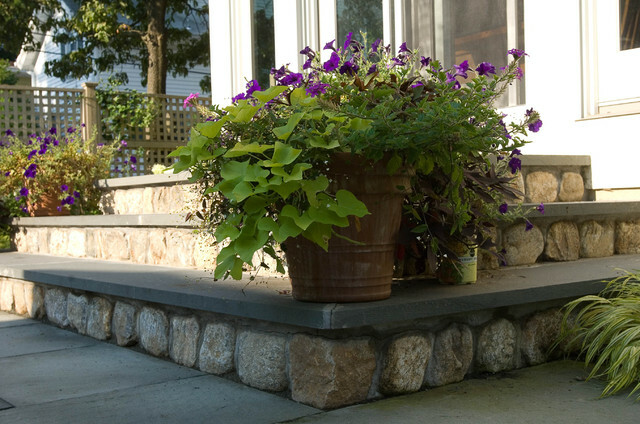 - The bed is between a blue slate stone patio and brick Northwest wall of house. 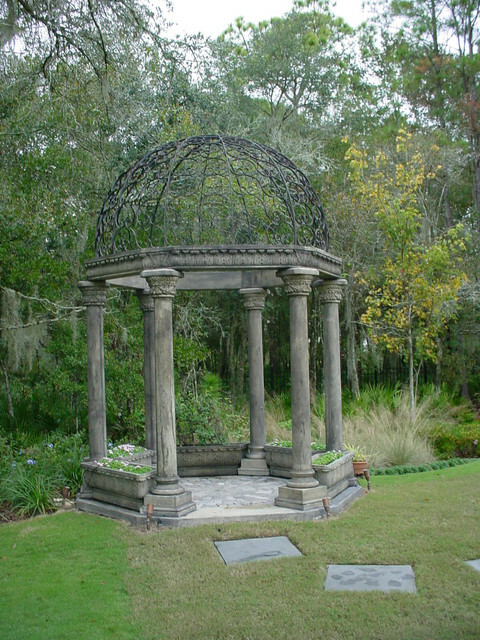 I also wondered what type of roses you planted on trellis? Will little lime do okay in this spot given that it is afternoon sun and will there be enough room for the plant to grow? Hello gagefamily3, thanks for your note. 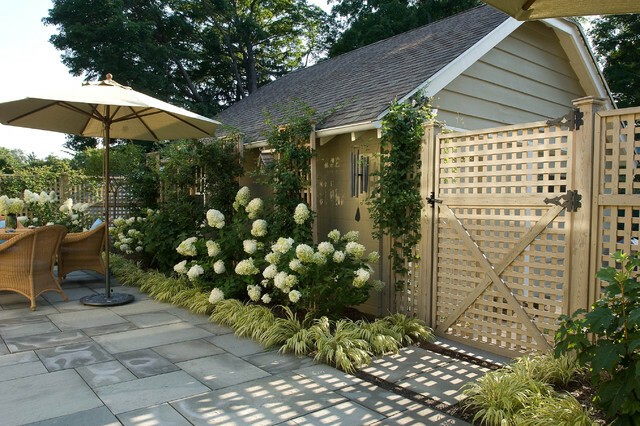 The little lime hydrangea will fit, but the afternoon sun may be a problem. 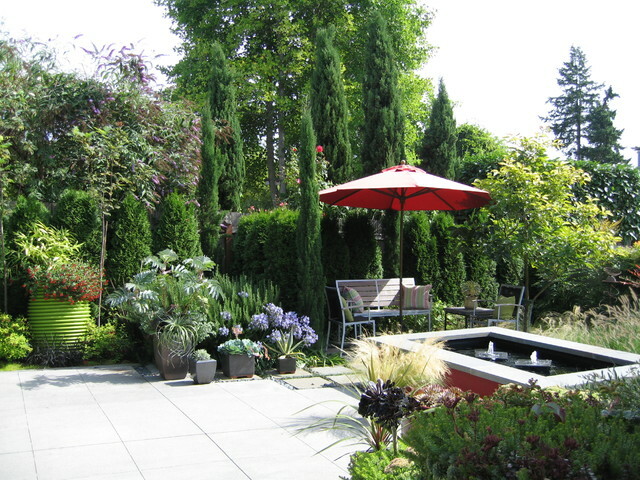 They prefer morning light and a high-canopy of shade in the afternoon. The roses we planted are climbing New Dawn roses. Comparable grass for full sun? 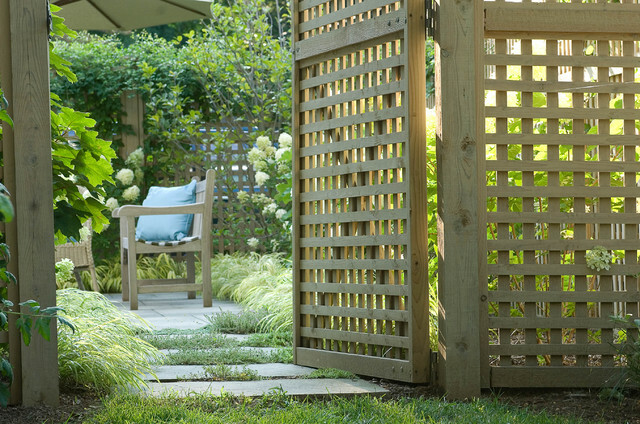 - I would love to do this with my little limes along the fenceline, but it seems that the Japanese grass would not do well in fuller sun (6-8 hours). 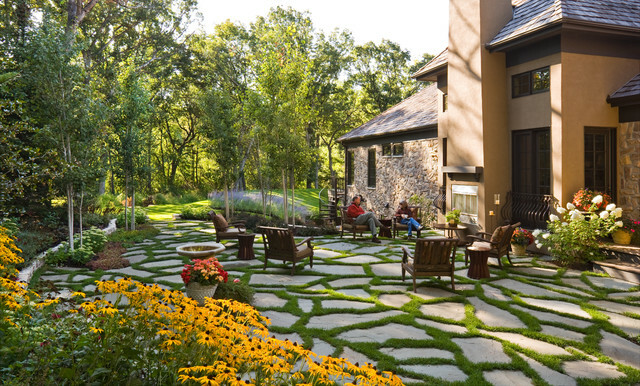 Do you have a suggestion for a more sun-tolerant grass with a similar look? Hello Elainsey and thanks for your question. 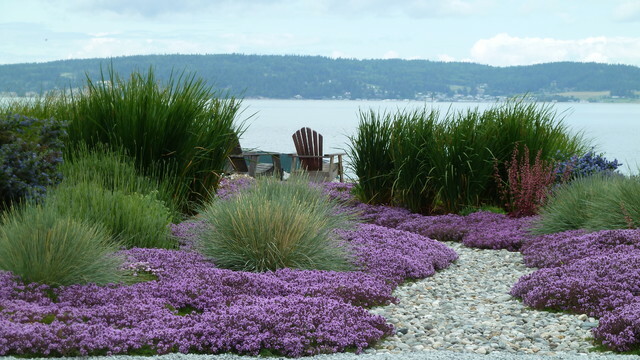 You can try a small grass such as "Little Bunny" or "Elijia Blue' both are diminutive and can tuck in nicely below the Limelight. 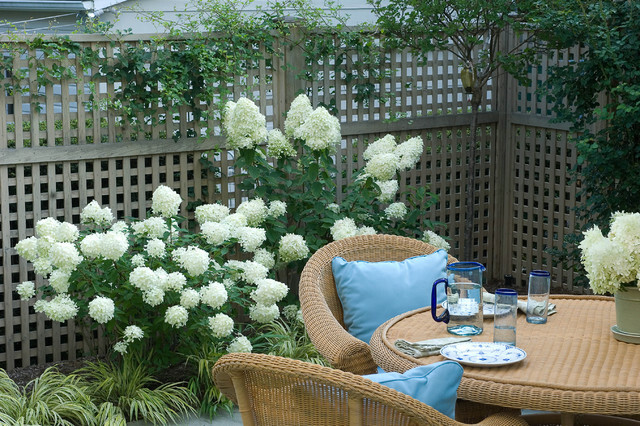 How much space is there between the planted hydrangeas? Hello Chantal and thanks for your question. 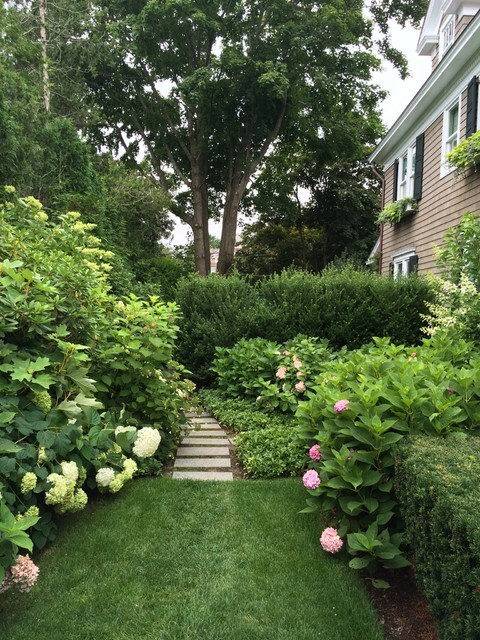 The hydrangeas are between 7 and 8 feet apart. Give Limelights plenty of room, or you can use the dwarf variety, Little Lime. - Hello, just wondering if that's a bluestone patio? 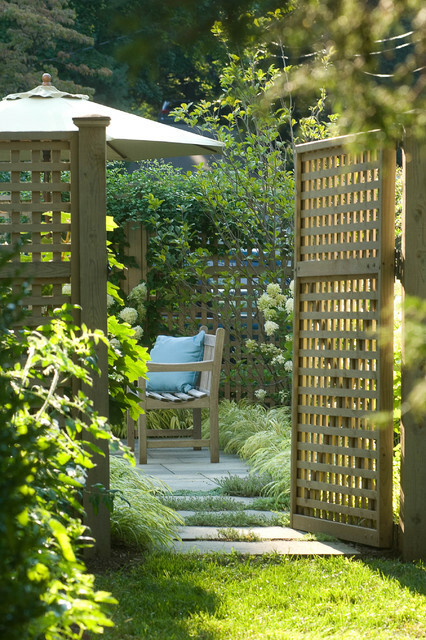 Also, this combination has such a lovely calming affect - would you mind if I posted this image on my garden design blog with a link back to your design firm? Thank you. Hello Jliberty, thanks for the comments and question. Yes this is bluestone on the patio. E-mail me at Robert@westoverld.com with your request for this image. How tall does this grow? - Good for sun or shade? 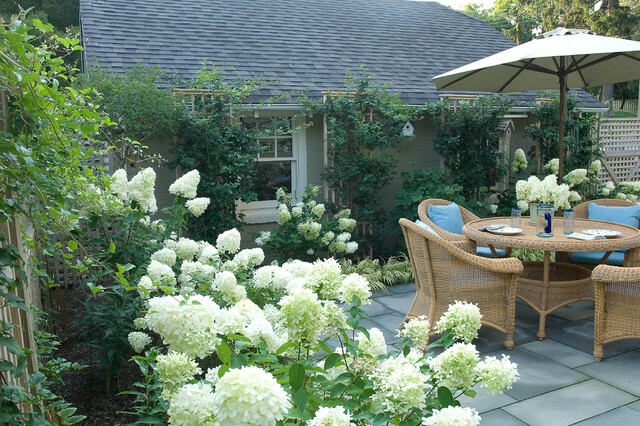 ‘Limelight’ panicled hydrangeas surround a terrace in Tarrytown, New York.Panicled hydrangeas. Prune panicled hydrangeas (H. paniculata), including ‘Grandiflora’ and ‘Limelight’ hydrangeas, in late winter. 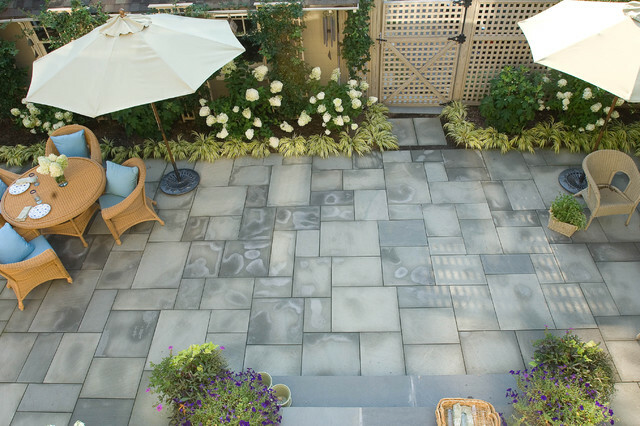 You can remove faded flowers at any time. White in the garden. 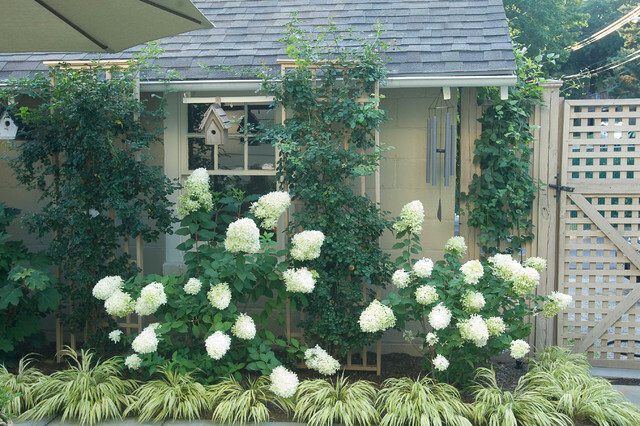 Zero in on any flower, like the fat hydrangeas shown here, and you will find a hint of green, sometimes blue or blush pink or yellow. 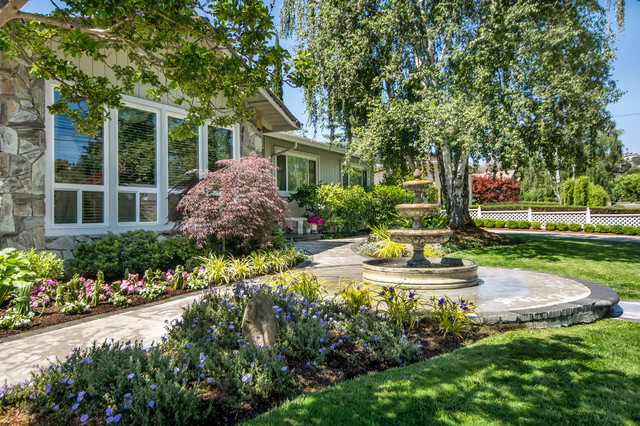 Any of these color combinations would work well inside the house — just think of using white as a main color and use a fresh, spring-garden shade of another color (green, blue, pink) in small touches. 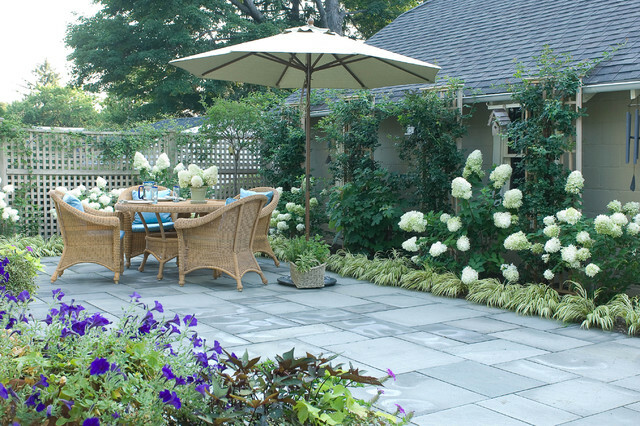 Though hydrangeas are garden showstoppers, symptoms range from oral irritation to gastrointestinal distress to depression for pets who eat them. 17. 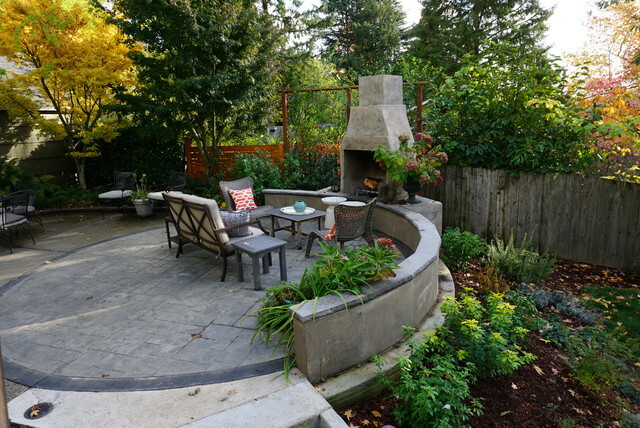 Fill a space with shrubs. 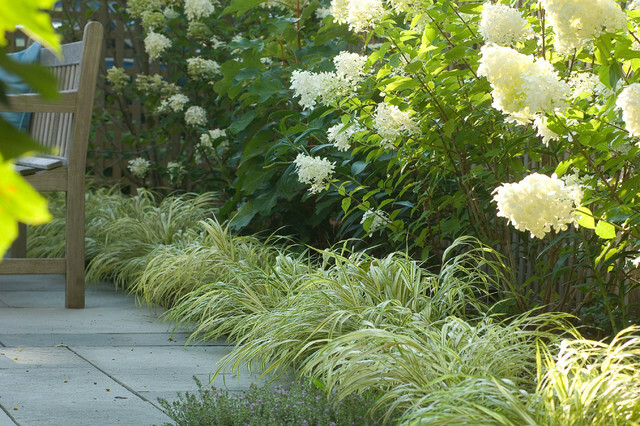 Use panicle hydrangea (Hydrangea paniculata ‘Limelight’, zones 3 to 8) with frothy Japanese forest grass (Hakonechloa macra ‘Aureola’) to screen a fence and create a full border with lots of visual interest. 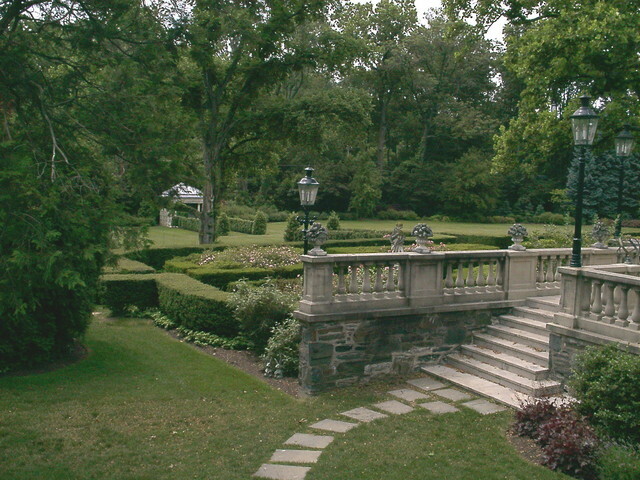 A Tarrytown, New York, terrace is planted with Hydrangea paniculata, whose flowers form a cone-shape panicle. 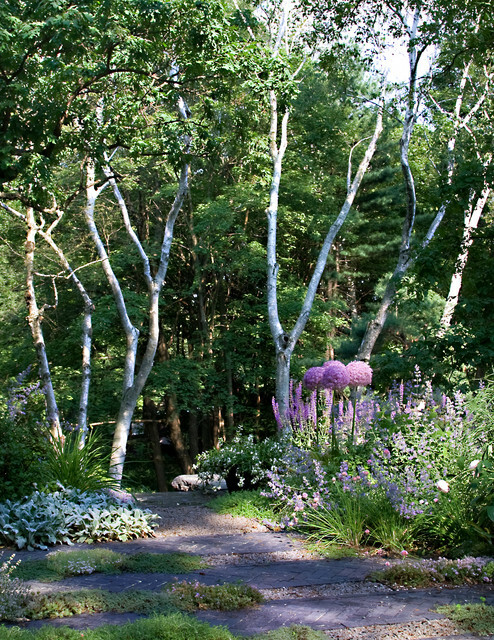 While white blooms do not usually change color like pink or blue specimens, they may mature to pink in the fall. 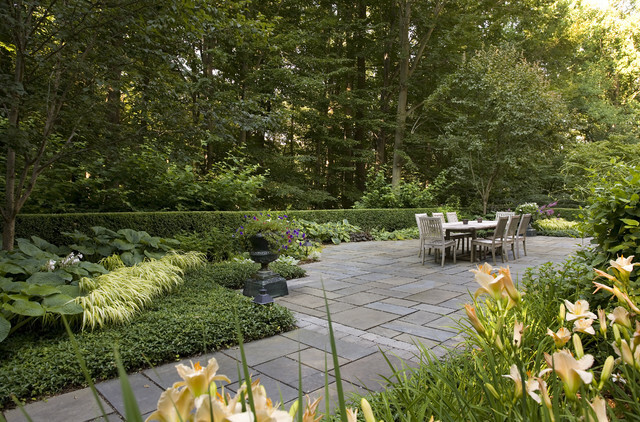 climbing roses, hydrangeas, and lilies surrounding a bluestone terrace.